The first show of the year was just down the road in Graysville, TN. Here, my car is parked with Bill Sims’ roadster, which had just been finished at my dad’s shop. Don’t worry, this post isn’t about shopping. It’s about my favorite color to shoot–black! I’ve heard a lot of photographers complain about black cars, but I thoroughly enjoy shooting them, especially when the conditions are right. Lighting has to be precise to get the right look, but when you nail it….good stuff happens. 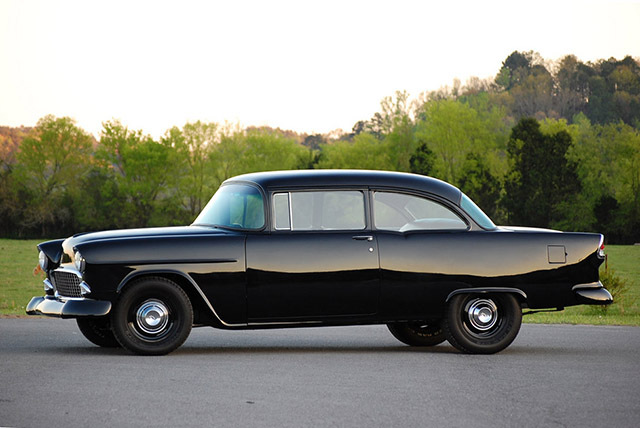 Ernie Lankford’s ’55 Chevy sets the standard for the black-on-black-on-black look. FYI, it’s a big block, four-speed car. My entire childhood featured a revolving door of awesome cars. My dad bought, sold and traded a lot, so he always had a yard full of cars. And with his bodywork and paint skills, he started bringing in full on restorations and street rod builds. 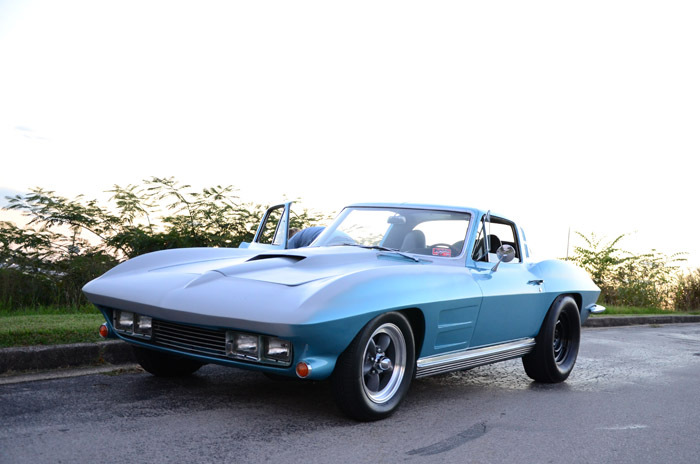 The Corvette I’m posting pictures of today is one of the most impressive transformations I’ve seen him perform. 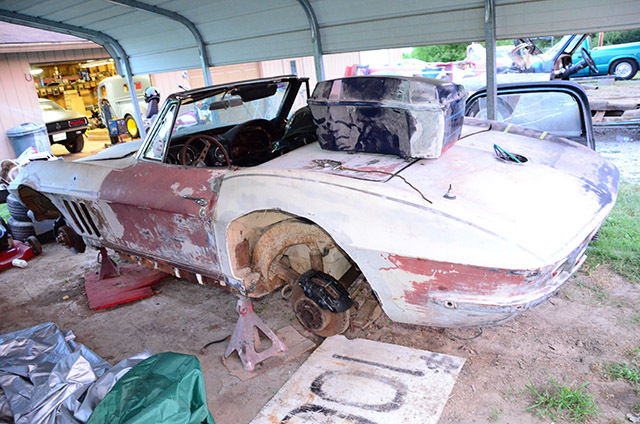 The starting point–a completely butchered ’65 Corvette roadster. Man, September wore me out. The last weekend of the month didn’t require much traveling but it was still a great deal of work. I had spent months planning and promoting the Chattanooga Cruise In (formerly known as the Coker Tire and Honest Charley Cruise In) and it was time to see if the hard work paid off. I woke up and looked out the window to see cloudy skies, and rainfall…not good. I never pass up the opportunity to take nighttime pictures in front of the Honest Charley store front. Out of all the years that I’ve heard great things about the massive cruise in events in Somerset, Kentucky, I finally made the trip for the first time last month. I didn’t actually plan on going to this particular event, but Coker Tire sponsored the Power Cruise and hosted a starting point in Chattanooga, so I figured I’d support the cause. I’m sure glad I did, because it was a great way to spend the weekend. The Dayton gang is huddled up and ready to hop in line and head to Somerset, Kentucky. Despite all of the work-related stuff, I did get to enjoy some time behind the wheel of my car, which is always a good thing!